If you have read my story, you know that become an independent sales rep was an “accident” — a pleasant one, as it turned out, but nothing I had planned. I was selling advertisements for a little newsletter we were distributing through the area. The newsletter was themed around the coming Lewis & Clark Commemoration. Naturally, when folks saw the newsletter, they wanted to know where to buy souvenirs. So Malcolm (my husband and business partner) and I went to work. Back then (2000), there was little information on starting a sales rep business. We searched the internet and found a some info, but not much to run with. We just stepped out in faith! agreement for me that, we hoped, covered all the bases. Then, he went to work to find me some lines. He finally found a chocolate maker in North Dakota who made Lewis & Clark and Sacagawea candy bars. The producers owned a drug store along the Lewis & Clark trail and had just started distributing their chocolate bars. They did not have any sales reps, so we learned together. I sold hundreds of those bars along the trail from the Dakotas to the Pacific Ocean. What a fun product to start with! Later, of course, we added a large line of souvenirs, our precious huckleberry products (state fruit in Idaho) and a selection of any thing I could rep. Not the best plan, but it worked in the beginning. Later, due to the time frame of the Lewis & Clark celebration and the large amount of travel, I narrowed my territory to Idaho and my lines to what my Idaho customers wanted. Looking back on it now, it is interested to see that I started a whole business on chocolate bars …. and look where it has taken me now! PS. At the end of the Lewis & Clark celebration, my wonderful friends in North Dakota sold their drug store and candy business. The new owners did not want to wholesale, so my relationship with them ended there. But what fun it was while it lasted!! My first sales trip was actually a trip my husband and I made 240 miles south to visit his family. 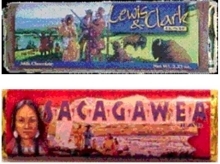 If you remember my post last week, all I was selling at the time was my Lewis & Clark and Sacagewea Candy bars. The Lewis & Clark trail goes right through Idaho, but not along the route we were traveling to my in-laws! Despite that, we stopped in nearly every small town between home and the Boise, Idaho area where we were headed. Most of these towns had a population of only 1,000 to 5,000 residents – so they were SMALL towns!! In each little town, we scoped out a store that looked like either tourist would visit or that carried gourmet foods or gifts. Having been in sales off and on for years, I had no trouble approaching buyers. Actually, it was kind of fun. But I did have a bit of trouble asking for the sale! After all, wasn’t that obvious!! Regardless, I sold enough cases of these cute little chocolate bars to earn me more than double the cost of my gas money to the Boise area. I was on cloud nine! Of course, I was still a long way from making a living as a sales rep, but this trip gave me enough confidence to continue on – and yes, I learned quickly how to ask for the sales: Do you want a case of each chocolate bar or a split case of both?? Shortly after this first trip, I headed west on the actual Lewis & Clark trail through Oregon to the Pacific Ocean. I found out that I hated to sell in Portland, but loved Astoria and visited there often. And of course, made more sales! That summer, we attended a family reunion in Bismarck, North Dakota (where my husband’s family is from). Wow! What an opportunity to do more selling since the L&C trail followed the same route!! Especially now that we had found a couple more lines of Lewis & Clark related products to offer stores. Once again, we stopped in the small towns in Montana and North Dakota, as well as some of the historical landmarks and museums with gift shops. We continued selling chocolate bars which was a great way to ‘open doors’ for me (after all, who doesn’t like chocolate) and some of my other lines. Boy, I thought, I am getting pretty good at this! I think I managed much better than some because I worked into my lines slowly – taking on more and more as I felt confident about what I was doing. Riding the Lewis & Clark Commemoration was a brilliant and fun way to start my sales rep business. The excitement over the commemoration was contagious, and I was receiving repping and product requests from all over the country. What a way to start a repping business! husband helped me create and design: LewisClarkGifts.com (no longer online) and I became one of the first (legitimate) wholesale website, operated by a sales rep, and with ordering capabilities. I used StoresOnLine (which is still use today for my website). Wholesale websites are a whole different type of website than the typical retail sites you normally see and use. I needed to develop a way to ‘qualify’ buyers from the curious consumer looking for a deal! So I grabbed my pencil and my computer and starting figuring out the best way to create a wholesale website that would meet the needs of my customers. I started out making the product and ordering pages password protected. Then I developed a form for each retail store to fill out before I granted them access via their own password. Worked great! Having hit the road for a few years, I had a ready made clientele for my website. Every customer I visited received a sheet that I had created, telling them about my new wholesale website and asking for their name and email. When I got home from my trips, I added them to the list of customers and emailed them their password to access the product pages and prices of the site. It wasn’t long before buyers from out of my sales route area began emailing me for access to the wholesale site. Shortly, thereafter, the Lewis & Clark Commemoration slowed down, buyers were less interested in Lewis & Clark souvenirs, and I, once again, had to scramble to reposition my sales rep business …. but that is another story for another time. My sales rep business was quickly becoming successful at a very early stage in the business. Folks were eager for my Lewis Clark products and I had accumulated numerous customers along the Lewis & Clark trail. What I did not foresee, thus, did not plan for was the down time between Thanksgiving and spring. Very few buyers are open-to-buy during that time, and the sales had come to a screaming halt! Thankfully, we made it through that first winter, but vowed to make some changes the following year. related. 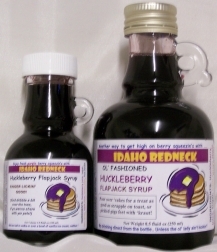 Since I sold mostly in the northwest, huckleberry products were very popular. I also took on a line of chocolate bars. I found out in a quick hurry that people LOVED to buy gourmet foods — especially when they had a local flavor. This new development gave us some new ideas! Most of the malls across the northwest held special kiosk events during the holidays. For a certain fee, we could set up an kiosk booth and sell some of the items I was repping for. So, Tastes of Idaho, a new division of Gourmet Innovations, was born. Tastes of Idaho featured as many Idaho gourmet food companies that we could find! We worked up a deal with the Palouse Mall in Moscow, Idaho and set up our Tastes of Idaho booth from mid-November to New Years! Malcolm, my husband traveled all over all purchasing and collecting products for our ‘store’. We invested more than $10,000 the first year in this venture — and the day we official opened the booth, all we could think was: Oh, my God, what have we done!! Thankfully, the booth was an wildly popular with the mall customers, the mall store owners and even the mall management. We quickly added baskets and shrink wrapped them on the spot with products that a buyer wanted to give their friends and loved ones. We even shipped the baskets for our customers. We came home with a tidy income, several left over products and a plan to add our Tastes of Idaho website to sell through the rest of the year. gourmet foods, gifts and personal care products selling in our booth. Since we had collected names and addresses of our buyers from the previous year (photo copied their checks and merchant account addresses), we had an instant mailing list to tell folks we were back at the mall! We were more successful the second year than we were the first and sales increased by 35%. But the inline stores were not very happy with our success. Evidently, we were threatening the business of a few of the mall gift shops and, thus, the mall managements would not allowed our kiosk in the Palouse Mall the third year!! In my post last week, I talked about the dead time in my business and how I added Income Streams to my Sales Rep Business during that time. Running the holiday kiosks were lots of fun! We got a chance to see what the end consumer thought about our products and which products sold well and which need a bit more help. In the process of making all these changes, we recognized an opportunity in the marketplace that was not being met well …. So we Started Our Own Gourmet Food Business. But before I tell you about that, let me back up a bit and tell you how this all came about! It was already obvious to me after the first year as a sales rep that gourmet foods were wonderful selling items in gift shops. Because they were consumable, buyers came back to the store on a regular basis to restock their own shelves with these wonderful tasty products! By this time, I had already found a good huckleberry producer (our state fruit in Idaho) whom I still rep for today. But I really wanted to find a good sauce company. I found a few folks, but for one reason or another, it just didn’t turn out. So my husband, who was getting frustrated with our business partnership decided to cut me loose with the sales rep business and got busy working on a good sauce recipe. recipe. Her husband just happened to have a sauce kitchen where we made the first few batches (actually, HE made the sauce and we just assisted here and there). Now to come up with a name for our BBQ sauce? We ponder for awhile and decided to try a couple different options. Since there was no wild game sauces on the market, we decided on the ‘Rocky Mountain Original Wild Game Barbeque & Grilling Sauce’. 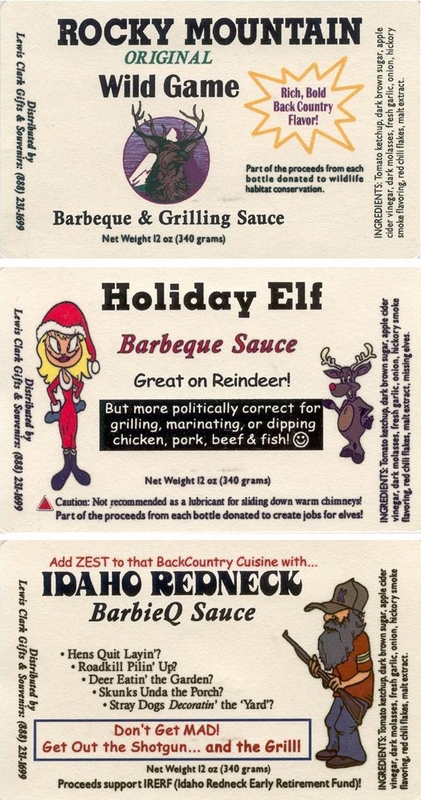 We were rolling out the sauce for holiday sales, so, for fun, we added and ‘Holiday Elf’ label. 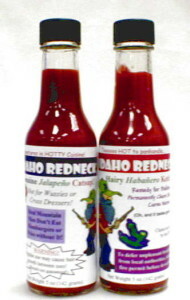 Finally, on a whim, we decided to create a ‘Idaho Redneck BarbieQ Sauce’. Our first response to the market research told us that the Rocky Mountain label would be the best seller. Folks thought the Holiday Elf would be cute for the holidays, but, of course, would not sell year around. We got several thumbs down on the Idaho Redneck. Well, off I went with several cases in my car, to sell the sauce to my customers. Several stores bought a mixed case of all three, some bought just the Rocky Mountain and Idaho Redneck, and some bought just the Rocky Mountain. But when the reorders came in (this was October and some re-ordered again before the holidays), everyone wanted the Idaho Redneck label (I think I had one store who liked the Rocky Mountain label because they were located in Washington!). Needless to say, we dropped the other two labels and Idaho Redneck became our leading line. Sales were going well for me in 2003-4! I was getting noticed by more and more small producers looking to expand their sales into wholesale. By that time, the Lewis & Clark Commemoration was in full swing and folks were traveling the trail through the north west. Some of my vendors from the eastern part of the country were closing out their Lewis & Clark souvenirs lines and others were contacting me to ask if I could sell out their inventory. The commemoration still had not official reached Idaho, but I knew that if I didn’t act quickly, I would loss half of my business over the next year. Since I had been doing more and more travel through the southern part of Idaho (mostly due to my major souvenir company asking me if I would like to service their accounts down there), it made sense to focus on accounts within my own state. I found that Idaho stores, in particular, loved regionally produced items. Huckleberry products and my locally made chocolate regional bars were my biggest sellers at the time. It made perfect sense to change my focus from the waning Lewis & Clark gift line to Idaho gift products. Along with that change in focus, I decided to change my business name to “Idaho Gifts Wholesale”. Early in 2006, I files a Certificate of Assumed Business Name with the Secretary of State in Idaho — and off I went with my business. Within that year, I became the most well known gift & gourmet sales rep in the state! Even though I had long ago canceled my membership in UAMR (United Association of Manufacturers’ Representatives) because I was getting too many calls wanting representation of products that were not related to my home state, I had new vendors from all over Idaho contacting me. 2006-2007 were my best years! I enjoyed working with both my Idaho buyers and the Idaho producers. I helped many new companies get a hold on wholesale selling, and mentored many more. Along with this change, I also received yearly emails/calls from 4th graders who were doing projects about Idaho and wanted products and information. I distinctly remember one disabled little guy who I talked to several times to help him with his report. After the project was over, I received a nice email from his mom thanking me for helping him along with his project. We started our own gourmet food business in 2001 by developing a new BBQ sauce with a very interesting label. (If you missed it, here is part one of this story: Starting Our Own Gourmet Food Business. Because of the popularity of the Idaho Redneck label among our Idaho customer, we decided to run with it and expand on the line. We moved our operation to a larger kitchen in the Boise area and began making 70 gallons of the sauces at one time. My husband, Malcolm, used the original recipes for a few years before making some serious changes to the “Excuuuse Me Taco Sauce” and also adding a “Hairy Habanero Ketchup” to our already popular Jalapeno Catsup and “Road Kill Teriyaki Sauce”. Malcolm, who I described as a ‘frustrated comedian’, was having a good time coming up with these crazy labels and our customers were loving the line! Since my sales routes and customers were mostly in Idaho, we decided to continue expanding our Idaho Redneck line (although, by then, we also offered a custom label Montana Redneck label to our stores in Montana and a BackCountry Redneck to any store outside the state). Rather than continuing to make all our own products, we began having producers makes products for us. We contracted with our soap makers and introduced an line of Idaho Redneck soap and lip balms. Our huckleberry producer made Huckleberry Jam and Syrup and packaged them in a cute line of ‘jugs’ that became very popular. We purchased 1.75 oz. unlabeled packages of coffee and put our own label on them. Our huckleberry granola became very popular — a venture between our huckleberry producer who shipped sugar infused berries to our granola producer who added them to one of his granola mix and packed them in our special bags. Malcolm, who was getting very good at developing recipes, came up with a line of interesting mustards. The Salsas he developed (Sweet Country Salsa and Hot Huckleberry Salsas) quickly became best sellers. We continued to add fun and crazy products such as Idaho Redneck Chocolate River Rocks and Idaho Redneck Sunflower EM-n-EMs. For awhile, we even had a line of Idaho Redneck sausage seasonings and BackWoods Massage Oils. In our last post, Expanding Our Food Line, I talked about how we expanded our Idaho (and BackCountry) Redneck line. Most of the products were gourmet foods, but like I said in my last post, we also added some personal care items. For awhile, we had about 24 different products with the humorous Redneck label. producers, we moved more and more towards making our own — and perfected our recipes even further! 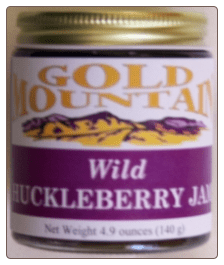 Being in huckleberry territory, we made lots of unique huckleberry products including sweet huckleberry mustard, huckleberry salsa and huckleberry granola (we had this one made for us). We tried lots of products and what worked, we continued to make (or have made for us). My husband started a line of humorous candy products. We bought bulk candy, packaged it in our own special bags and created the labels. He called it the “Endangered Feces” candy. Stores either hated it or found it hilarious! One of the reasons why the Redneck line sold so well (and is still selling well, although we have cut way back) is because Redneck products are items that a woman would buy for a man! Not many lines in the marketplace that cater to that audience — and we RAN with it!! We had a very high class basket company in the Boise area that bought lots of our products. She said she loved the line, but it did not work well for her higher class doctors and lawyers who wanted to buy upscale baskets for their clientele. So we took the same products and developed a Gold Mountain label. Doubled our line nearly overnight by just adding a second label! When I went on my sales trips, we would load up the van with several cases of each product. I would bring the labels with me and label products on the spot when stores bought. Even though I did charge a small delivery fee, in most cases, it was much cheaper than the shipping fees would be. Our customer loved it. Often, I will call ahead of time for pre-orders, but often the store buyers were accustom to my schedule and called me with their orders. Even though it took a few years to develop our line to this point, we were very successful with it and had products in nearly 200 stores — mostly in Idaho, Montana, Oregon and Washington. Since we were positioning our business at the place to purchase Lewis & Clark souvenirs, we wanted to play up the theme as much as possible. Besides using old barn boards as part of our shelving, and fake furry table covers, Malcolm (my husband) dressed in buckskins and a coonskin cap (aka one of the explorers). I wore a cute little Sacajawea costume. We attracted a lot of attention, and even won a “New Exhibitor of the Year” award from Western Exhibitors show management. As much fun as it was, I realized that most of the accounts I picked up at the Portland Gift Show were not in the area where I had my sales routes. So even though I had some new nice orders and some new customers, I did not have the ability to sustain the accounts after the commemoration. And of course, my products were becoming more and more Idaho based which did not interest my Oregon customers. meeting and event planning, arranged our own private wholesale shows. Actually, we got the idea from a competitor that conducted a private showing to his customers in February when sales were very slow for his customers. We planned our shows for late March to early April. As you know, business is typically slow during those months, so buyers were more likely to attend our shows. The first year we scheduled three shows in northern Idaho and one show in eastern Oregon. Along with offering store buyers Net 60-Net 90 days on their orders placed at the show, we had some cash and carry items, door prizes, and show specials. Originally I asked for small fee from each of my vendors. A couple of the larger companies, in particular, were resistant to the fee, but after receiving the initial orders that came in, the trade show check(s) was sent right out! Malcolm and I conducted the shows in a hotel/motel meeting room from noon until 8:00. There were some down times, but we were fairly busy the entire time, talking with customers and taking orders. We felt it was successful enough to repeat the following year. The first two shows were great — lots of buyers and many sales. But on the day of our second show, President Bush ordered the surprising bombing of Iraq — and no one was interested in attending any shows by late afternoon! We ended up canceling the following three shows as the entire country was glued to their TVs (April 1, 2003) watching the outcome of the war. 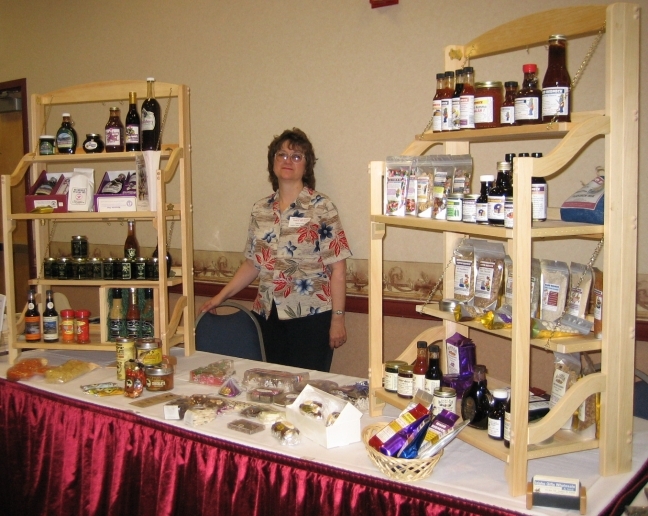 A few years later, the Idaho Specialty Foods Association sponsored a couple wholesale shows that we attended. These shows were not as lucrative as our private shows, but were worth the time and effort to attend! In the years that followed, I was just too busy traveling to continue the private shows! By 2004 or 2005, I was in full swing with my sales rep business traveling all over the state of Idaho and into parts of Washington and Montana. I usually started my routes in early March and traveled non-stop until Memorial Day week, then non-stop again until 4th of July week and slowing down to retool in August for the holiday season. September through Thanksgiving was simply crazy as I tried to see everyone at least once to show them the new Christmas lines/products for their store. whatever they needed for their own customers. Remembering back, there was one season that I was sick for a few days, so postponed my trip a week. I actually got a couple phone calls asking where I was!! It was then when I realized how important consistency was for my customers! Idaho is a large spread out state. We live in the north central part of the state, and traveling to the southeastern part of the state was a long drive. And, with all the mountains in Idaho, visiting all my customers at least three times a year proved to be a interesting challenge. But after running my routes for a few years, I knew that the tourist shops in the mountains were not interested in buying products in the fall as most of them closed over the winter; and my biggest accounts needed to see me as often as possible, so I worked in to see them every 4-6 weeks. Quite a juggling act, but I got really good at it! One the other side of the coin, because I had such a good working relationship with my customers, I knew what type of products they were looking for and found a producer who would make it for them. Sometimes, producers would introduce a new product just based on the info I shared with them from my buyers. I became so busy with my sales routes, there that was no more time for retailer kiosk nor wholesale shows. Being gone an average of 3 weeks per month (except for the winter), didn’t leave much time for anything else. My husband joked that I came home occasionally on the weekends to visit him and my cats!! It was a fun life. 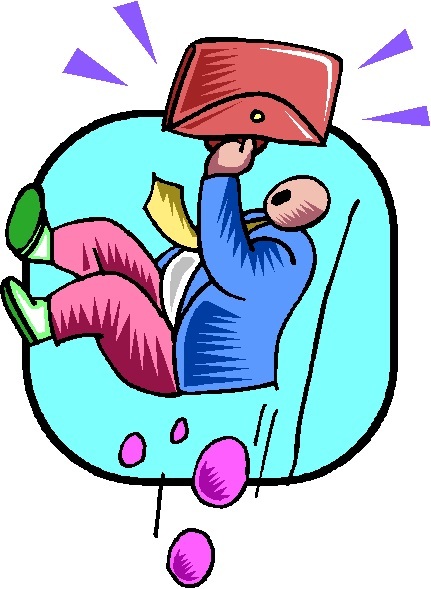 Then, in 2007, right before my first big spring sales trip, I fell and badly injured my ankle ….. but that story is for another day! Who would have guessed what would happen next to our growing business …. Being in my mid-50’s, my health was as good as could be expected. I had lots of energy …. going all the time, working with this customer and that vendor, but I noticed that I was getting more tired and fatigued that usual. I began making more and more silly mistakes that I did not understand (like faxing a year old order to one of my vendors!!). trip of the season, I tripped and severely injured my ankle. But having been there and done this before, I knew the best thing to do was get off the ground and back on my feet. Yes, it hurt, but I finished loading up the van and off I headed to Coeur d Alene on my way to western Montana. Little did I know my ankle continued to swell during the 2 1/2 hour trip north. By the time I finished my deliveries and sales stops, I knew I was not going to make it to Montana, so I checked into a hotel and figured to take it easy until the next day. Well, needless to say, the next day my ankle was worse, and I knew I would need to do something soon or I would not even make it home. So …. as it turned out, I ended up spending April and May on the couch calling customers between pain pills — which was not my idea of a good time! Luckily most of my customers were great about it and either phoned in their orders or ordered off my website. Thankfully, I had worked my routes for years and had some wonderful customer that missed me as much as I missed them. About the same time, the failing economy hit in a BAD way (remember 2008!! I know, I want to forget too!). The Boise area, where most of my largest account resided, got hit hardest when Micron, the major employer in the area, starting lay-off hundreds of Boise valley workers. Within a year, 8 of my 10 largest accounts closed, went bankrupt and moved out of the area! 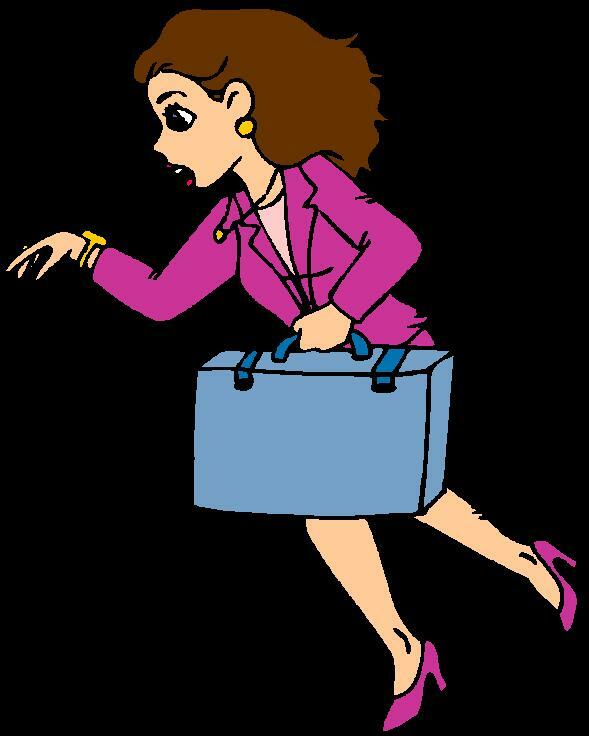 I was scrambling – trying to make sales where I could only to find the referrals to new stores I had been given were dead ends! Even after my ankle healed, my general health continued to decline…..
Last week, I shared how I injured my ankle in 2007 and about the fall of the economy in 2008. (If you missed this post, check it out here.) I was still running my “roady” sales rep business, but more changes were quickly happening that I had no control over. No longer did I feel I was able to carry on the schedule I was keeping. Memory loss was becoming a way of life for me and, out of necessity, I began drastically cutting back on the road trips necessary for my customers and eventually, my entire sales rep business. I felt lost and began relying heavily on my husband for help and guidance. After much coaxing, we went to see the doctor. The first step was to put me on anti-depressants (was I depressed? Oh, YES!). Of course, that helped me cope with my life a bit better, but did nothing for the memory loss or fatigue that was overshadowing my life. Next step was to add Aricept, the first stage of drugs given to Alzheimer patients, to my new drug regimen. Those next months were a blur to me. I felt like an observer, rather than a participant, in my own life. Although I never really told any of my customers what was going on (I blamed my lack of sales trips on the economy and high cost of gas — which is also an on-going issue since 2008), I did tell my vendors my health was declining and why. I was cancelling my sales agreement left and right — although several folks still wanted to stay on my website and agreed to keep me on as their sales rep.
My husband worked frantically trying to find something I could do to stay productive, but ending up letting me wander in my own little world dealing with what I could. I started thinking about making out a will and what I wanted for my funeral — I honestly thought this was the beginning of end for me. Then I found something that I could do …. When we left off in my last post, Tragedy Struck Me and My Sales Rep Business, Part Two, I shared my health was declining to the point that I believed I was at the beginning of the end …. My memory was gone, my energy was gone, my purpose in life was gone …. or so I thought! Inside my own small (and shrinking) world, I found that I could write. Not that I could not before, but that I could write something of value and feel useful again. So, naturally, I started a blog on what I knew best: Selling to Gift Shops. I also began submitting articles to EZine Articles, HubPages, and Squidoo and became active on a couple social media sites. As I continued working on my blogs (which were often just a snippet of the eguide I was working on), I spent time on the How to Start a Sales Rep Business book. I did all the rough draft writing, and Malcolm edited it for me. I am no Mark Twain (or Seth Godin), but together, we knocked out a couple good resources for the industry in the midst of the larger project. In the meantime, my health issues made it impossible to travel by myself anymore (last sales trip I took, I was “stopped” twice by our friendly Highway Patrol — once for missing a stop sign and once for not slowing down enough in a school zone which I didn’t see!). I began beefing up my website, telling my producers that I could not promise them anything beyond the sales we were getting from the web. Interestingly, about the same time, more and more retailers were online looking for products. And since sales repping was a large part of my life, I really didn’t want to fully give it up! Then, finally, I found a ‘cure’ for my Alzheimers — or what we all thought was Alzheimers …. In my last post, I talked about how Writing and Developing Websites Became My Salvation. Even today, I find it interested that during the days I called my husband by the wrong name (actually, did that only twice! ), I could actually write something coherent! My verbal communications skills were greatly compromised (can you imagine a sales rep that could not communicate!?? ), but I guess my mind was still active enough to write between my ‘rest times’. Seemingly miraculously, a health food store opened up in our small town that was owned by the wife of a naturopathic/chiropractor physician. Dr. Jim’s main practice was in Medford, Oregon, but he visited my small home town once a month to work with the local folks. We signed up for a complete line of testing to see if he could help me. At that time, I was already on the first stage of Alzheimer’s medication and looking at adding a second one. ries of blood test, a saliva test, and an in depth interview, I was given an answer …….. I had some serious food allergies! The worst being gluten, wheat, eggs and dairy — along with a bunch of other foods I had been eating. I was in tears by the time Dr. Jim was done explaining all the foods I was allergic to — probably tears of relief mixed in with tears of regret over all my favorite foods I would need to do without. Food intolerance, at least for me, had effected nearly every system in my body! They crept up on me and start tearing away at my body without any warning or reservations! And, obviously, it took years to realize my body has been INVADED! Suddenly, I realized all the minor aliments I had dealt with for so many years were all related to these food allergies (especially gluten intolerance!). 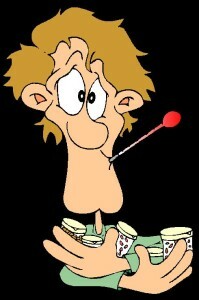 I have worked for nearly four year now to repair the damage done to my health. Obviously, I am much better — although, driving still is difficult for me. I often am absent minded and I don’t do well with stress which is sometimes just a change in routine — but thankfully, I feel ‘normal’ again! Rather than going back on the road as a sales rep, I chose to share my stories and expertise in the industry. I do miss my retail customers (I have a standing invitation with several of my Boise customer to join them for lunch when I am down there — and many of them are no longer store owners/managers! ), but I have a good life. I great enjoy helping others grow their business, sharing my experiences, and seeing folks succeed in reaching their dreams! And this is the end of My Story!